This year solar energy is making headlines all over the nation. While solar energy is the utmost cleanest and renewable source out there, its uses are becoming more popular. 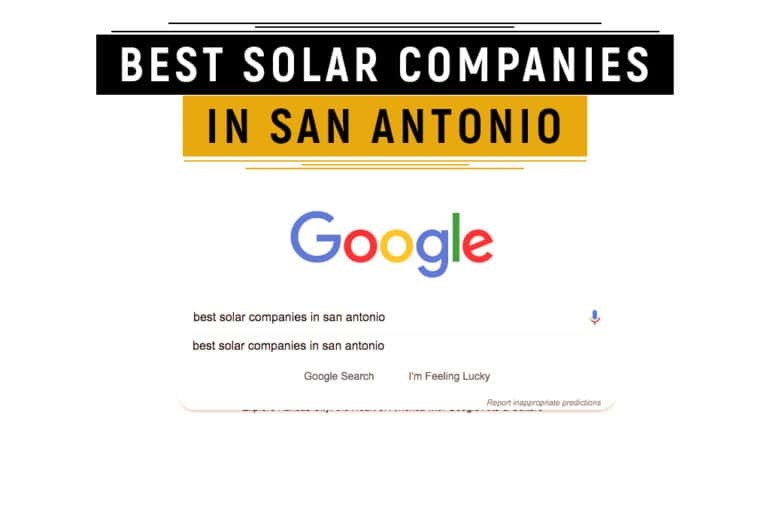 When researching for the best solar company in San Antonio, you probably use Google to search for solar companies and then scroll through their services, etc. 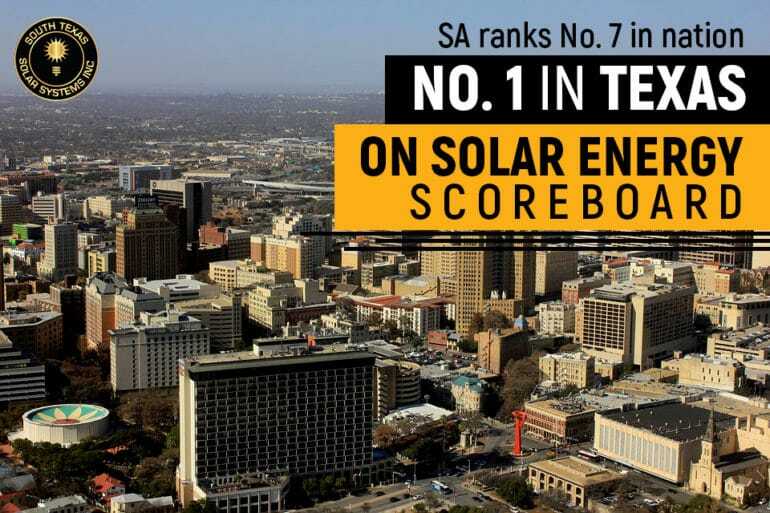 What people need to know is the best solar company in San Antonio is the company that ranked #1 for a consecutive year on the list of rooftop solar energy companies from the San Antonio Business Journal. The ranking is cumulated by the total number of kilowatts of local systems installed in 2018. Earlier this month KSAT 12 announced a new report by the Environment Texas Research and Policy Center, who reported San Antonio ranked No. 7 in the United States and No. 1 in Texas for solar energy capacity. With only a quarter of the year already in wraps, solar energy is powering up homes and businesses left and right. In fact, solar energy can be stored with a solar battery and used at night. Solar energy and its uses are inevitable for an efficient lifestyle. Aside from generating electricity for lighting, etc., solar energy can be used for heating water. Here is an example of another use of solar energy from a recent San Antonio event known as SA Earth Day. The Westside Development Corporation reached out to South Texas Solar Systems Inc. in hopes of using solar energy to power the event’s PA sound system, guitar, a bass amplifier, and microphone. STSS was happy to help out the cause and provided their 20-foot off-grid container, equipped with six solar panels, two outlets, a flat screen, and AC unit. The off-grid container was built to sustain 20kwh. So with a little help from an extension cord, SA Earth Day was powered up by the sun and South Texas Solar Systems. Now with Spring in full effect and Summer blazing its way to Texas, solar energy is in demand and only the best solar company in San Antonio is ready to supply customers with what they need to switch to solar. Desde los inicios de esta década South Texas Solar Systems Inc. se ha dado a la tarea de implementar una nueva cultura solar a lo largo todo el Sur de Texas; empezó como un proyecto local en la ciudad de San Antonio y debido al gran recibimiento y la inmensa aceptación por parte de los ciudadanos texanos fue que se comenzó a expandir hasta cubrir todo el Sur de Texas. Los sistemas de paneles solares que tienen por objetivo brindar la energía suficiente para que una casa o negocio funcione normalmente o en otros casos se busca disminuir el costo de la electricidad, la energía solar en un principio era costosa debido a que había muy pocas empresas dedicadas a la creación e innovación y por otra parte los instaladores; como eran muy escasos en la zona, cobraban cantidades exorbitantes por instalar un sistema de paneles solares, es por eso que South Texas Solar Systems Inc. vino a revolucionar la industria solar en el Sur de Texas con sus diversas promociones que se ajustan a las necesidades de nuestros clientes. 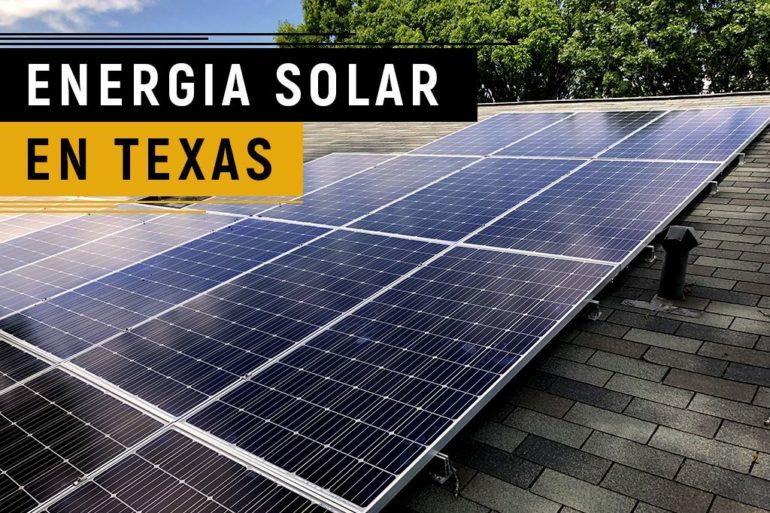 Se parte de esta nueva era de energía solar en Texas y forma parte de nuestra familia solar llevándote un sistema de paneles solares que cumpla con tus expectativas sin enganche y empezando a pagar tus mensualidades hasta el tercer mes de haber sido instalado! Todos nuestros sistemas de paneles solares tienen una garantía de 25 años y cuentan con dos visitas al año de mantenimiento por parte de nuestros expertos durante los primeros 5 años! Aparte de todos los beneficios económicos que tienen los paneles solares es necesario mencionar que ayudan inmensamente al cuidado del medio ambiente ya que no generan combustión de fósiles y por ende no producen gases contaminantes. El momento de la energía solar ha llegado a Texas y es tiempo de que aproveches todas los promociones que South Texas Solar Systems Inc tiene para toda tu familia! Haz CLICK AQUÍ y pide tu cotización totalmente gratis y habla con uno de nuestros expertos y pregúntale por los demás beneficios que puedes tener si decides cambiarte a energía solar en tu hogar o negocio! Did you know that Texas is on top for solar energy capacity? The Alamo City is ranked No. 7 in the United States and No. 1 in Texas for solar energy capacity, according to a new report by Environment Texas Research and Policy Center. The rankings come on the heels of the city’s solar energy capacity growing in 2018 to 186.9 megawatts from 161 megawatts in 2017, CPS Energy said in a news release. The achievement was celebrated Tuesday at Palm Heights Community Center, which was one of the City of San Antonio’s facilities that is participating in CPS Energy’s Solar Host program. CPS Energy announced an additional $15 million for its solar rebate program in December 2018. Since the announcement, the company has continued to see growth in commercial and residential customers applying to participate. Utility officials said the increase speaks to interest in solar energy by CPS Energy customers. Did you see that power grid? Chances are you’ve daydreamed in the passenger’s seat while being driven and didn’t notice all the power distribution grid power lines. The power grid starts in places where electricity is generated. Electricity once was made only at central power stations, which usually ran on fossil fuels. Today the technology has improved more, and cleaner options for energy generation are available. Distributed energy resources, such as rooftop solar panel systems, can be cheaper because they generate electricity closer to home. That means fewer long power-transmission lines and other expensive grid infrastructure required for centralized distribution. Having a rooftop solar panel system installed also means you are connecting your own generated electricity back to the grid. Here in the state of Texas, we have our own power grid, the Texas Interconnection, managed by the Electric Reliability Council of Texas (ERCOT). The Texas energy market is in favor of cleaner energy. San Antonio has a goal to become carbon neutral by 2050. 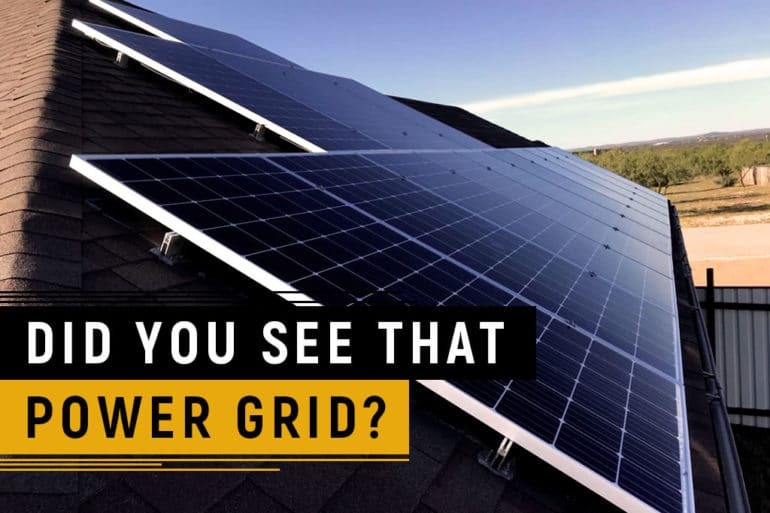 This is why at South Texas Solar Systems Inc. we stay up to date with the innovative technology in our rooftop solar panel systems, ground mount systems, and inverters. We’ve been providing our clients with the best customer service since 2007. Rooftop solar panel systems are in demand to help customers save money on electric bills or help better our climate. At South Texas Solar Systems, we help customers go solar with a zero upfront cost and without paying for the first three months. The next time you are in the passenger’s seat daydreaming, you may instead notice the rooftop solar panel systems already generating their own electricity. Get your free estimate and switch to solar energy with South Texas Solar Systems Inc. CLICK HERE to #GoSolar. 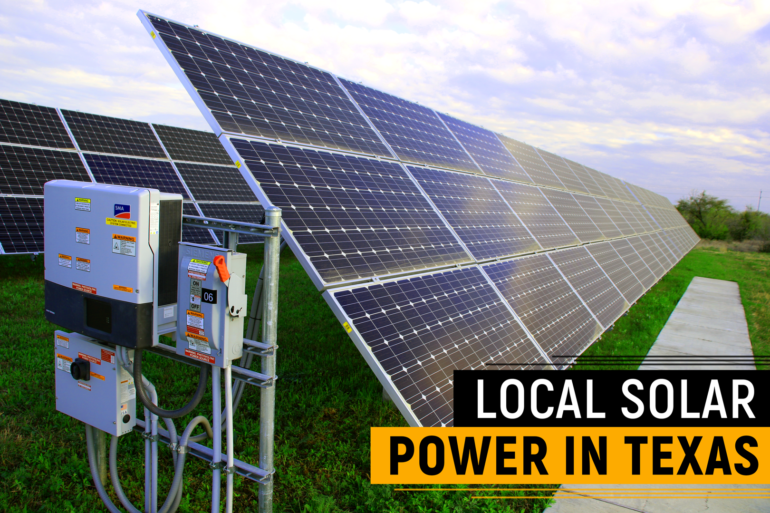 The solar industry influences our local communities and local businesses to join the solar movement and learn how we can create a better, affordable lifestyle. San Antonio is home base to Mission Solar Energy, a solar panel manufacturer. They are currently the longest running crystalline solar panel manufacturer in the United States. Mission Solar Energy is a 320,000 sqft. Facility sitting on 86 acres. And while our sun is hard at work converting its sunlight to electricity through a solar panel system; inside Mission Solar is where the hard work of 165 employees is taking place. Mission Solar’s parent company is OCI Company Ltd. Korea. OCI is the third largest polysilicon mining company in the world. As leaders in the solar panel manufacturing industry, Mission Solar has been South Texas Solar Systems manufacturer since 2016. Plant Manager, Frank Pham said, “Renewable energy has now evolved into grid parity.” Which means it is equivalent to the same cost as it is to burn coal or a coal generation power plant. Making the switch to solar power is a positive investment to your present and future. The overall savings from a solar panel system are why homeowners and businesses have adopted a rooftop solar panel system or ground mount. Contact your local solar energy consultants at South Texas Solar Systems to find out more. Go Solar!